We note, in conversation with GLW, that Derek Clark is to be exposed in a national newspaper. This concerns the OLAF investigation into his misuse of EU money. 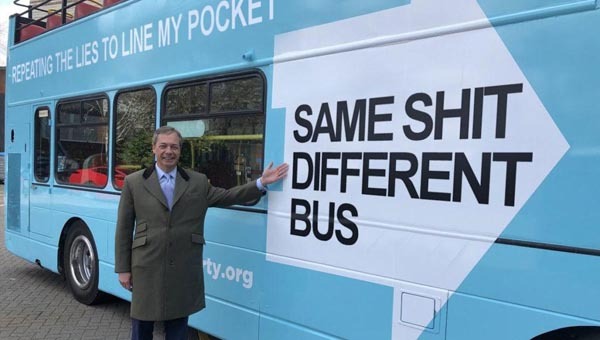 He was later ordered to pay back a substantial amount of money - something that both he and Farage have always denied to members, including the East Midlands Regional Committee. So once again Farage and Clark will be exposed as liars! We can confirm that the press have been in conversation with several individuals connected to UKIP, Farage and Clark. The article should appear very soon. Watch this space.